TOM HAMILTON, the "Voice of the Indians," will enter his 28th season of calling Cleveland Indians baseball games on the radio in 2017. In his 27 seasons since 1990, Hamilton has called all 84 postseason games the Indians have played over that span, including three World Series' (1995, 1997, 2016). His 27-year tenure, along with Rick Manning, is the second-longest in club history next to his former partner, Herb Score (34 years, 1964-97). Hamilton is joined in the booth by Jim Rosenhaus, providing action and commentary for all 162 regular season games and 15 spring training contests on Newsradio WTAM 1100, 100.7FM WMMS and the Indians Radio Network. Tom came to the Indians after spending three seasons as a broadcaster for the AAA Columbus Clippers (1987-89), then the top farm club of the New York Yankees. Previously, Tom worked in Milwaukee, Appleton, Watertown and Shell Lake, Wisconsin. Some of his broadcasting credits include the University of Wisconsin football games, University of Colorado basketball games, the Appleton Foxes Minor League baseball games and work for ABC radio. He is a six-time recipient of the Ohio Sportscaster of the Year Award (1997, 2000, 2001, 2004, 2006 and 2013). The Press Club of Cleveland inducted Tom into their Journalism Hall of Fame in November 2015. During the off-season, Tom does television basketball broadcasts for the Big Ten Conference on the Big Ten Network. In honor of his 20th season with the Indians, Tom was given the Cleveland Association of Broadcasters Hall of Fame Award for 2009. Hamilton is a native of Waterloo, Wisconsin. He resides in Avon Lake, Ohio with his wife, Wendy. The Hamilton's have four children: Two boys, Nicholas and Bradley, and two girls, Kelsey and Katie. Nick graduated from Kent State University, where he was a key member of 2012 College World Series qualifying Kent Golden Flashes and played three years of pro ball and is now a scout for the Kansas City Royals. Brad is a junior catcher on the Kent baseball team. 2017 marks the 11th season for JIM ROSENHAUS as part of the Cleveland Indians radio broadcast team and his sixth teaming with Tom Hamilton on every game broadcast. During his time with the Tribe, Jim has served as the host of Indians Warm Up and Tribe Talk on the Indians Radio Network. 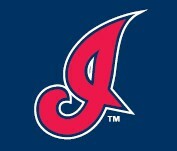 Jim also provides webcasts (Indians.com) for most spring training games not on the Indians Radio Network. For the last five seasons he has served as the Indians team correspondent for MLB Network. Rosenhaus joined the Indians prior to the 2007 season after spending 11 years as the play- by-play voice of then Indians AAA affiliate, the Buffalo Bisons. Jim started his professional baseball broadcasting career with the Tribe's long-time Single A affiliate in Kinston, NC. In addition to his baseball broadcasting work, Rosenhaus spent 11 years as the voice of the University of Buffalo men's basketball team. In the baseball off season, Jim has also worked various televised events for SportsTime Ohio, including college and high school basketball, OHSAA football state playoffs and college and high school volleyball. On July 24, 2011, Jim was inducted into the Buffalo Baseball Hall of Fame, along with former Indians and Bisons catcher, Tony Pena. Jim resides in Bay Village, OH with his wife, Carole, and sons, Nathan and Cole. The first local telecast of an Indians' game took place on May 15, 1948 as Cleveland met the White Sox in an afternoon game at Cleveland Municipal Stadium. The game was telecast on WEWS-TV, Cleveland's only TV station at the time. The announcer was Van Patrick. Former Tribe center fielder RICK MANNING returns for his 28th season as color commentator for Indians baseball telecasts on SportsTime Ohio and on WKYC- TV. Rick's tenure with the club began in 1990 as his 27-year tenure is the second- longest in franchise history (alongside Tom Hamilton). "Arch", 62, began his professional baseball career with the Cleveland Indians as the #1 selection (2nd overall) in the 1972 June draft out of LaSalle High School in Niagara Falls, NY. The first 8 1/2 years of his 13-year Major League career were spent in Cleveland (1975-1983), where he won a Gold Glove in 1976 for his fielding prowess. Manning was also selected as the BBWAA "Good Guy" award winner for the 1980 season and caught the final out in Len Barker's 1981 perfect game. He later played with the Milwaukee Brewers from 1983-87 before ending his 13-year career with a career batting mark of .257 (1349-5248) in 1555 games. Rick and his wife, Sue, reside in Scottsdale, AZ. He has two children, Kyle and Jessica, and six grandchildren. MATT UNDERWOOD begins his 18th season as a broadcaster for the Cleveland Indians. 2017 will mark his 11th year in the TV booth calling play-by-play with partner Rick Manning. Previously he spent seven seasons (2000-06) as a member of the Tribe radio broadcast team and 13 years as host of Indians Warm Up, the pregame show heard on the Cleveland Indians Radio Network. Matt began his career with local ABC affiliate WEWS-TV5, where he spent 17 years and served as the station's sports director from 1997-1999. Underwood has called play-by-play action for the OHSAA football playoffs and 21 State Championship games as well as NCAA football on SportsTime Ohio. The Ashland, OH native graduated from Baldwin-Wallace College in 1990. He is a member of both the Ashland County Sports Hall of Fame and the Baldwin-Wallace Radio Hall of Fame. In 2013, Underwood received the Alumni Merit Award from B-W and the Distinguished Alumni Award from Ashland High School. Matt hosts an annual golf tournament to raise money for Team Focus, the Ashland County Cancer Association and the Sophia Underwood Memorial Scholarship Fund. He and Rick Manning have also helped to raise more than $50,000 over the past 8 years for The Gathering Place, a local organization created to support, educate and empower individuals and families touched by cancer. He currently resides in Avon Lake with his wife, Shelley, who owns and operates Johnny Mango, a popular restaurant in Ohio City since 1996. They have two children, Max and Devan. ANDRE KNOTT begins his third season as a reporter for all Cleveland Indians telecasts on SportsTime Ohio. Knott has contributed to SportsTime Ohio's coverage over the past several years in various capacities, from covering high school football and the Cleveland Browns to hosting Drennan Live. Previously he was the Browns Radio Network sideline reporter for six years, 2004-10, and has also been seen and heard covering Cleveland sports on WKNR and WEWS and still has a working partnership with Newsradio WTAM 1100. He also records a weekly podcast for Scene Magazine. Knott and his wife, Jennifer, reside in Wadsworth with their children, Isabella and AJ. He is a graduate of Akron St. Vincent-St. Mary High School and Kent State University. He was an All-Ohio running back and 4 time letter winner in baseball at St Vincent-St. Mary. AL PAWLOWSKI is a multi-award-winning broadcaster based in Cleveland, Ohio. Al is currently the host for "Indians Live" on Fox SportsTime Ohio, the pre-game and post-game shows for Cleveland Indians' telecasts. He is also the in-game update anchor. Al has done play-by-play with Rick Manning over the past several years on games as well. During the winter, Al is the play-by-play voice of Cleveland State Men's basketball. The current rights holder is Learfield Sports. AM-1420, WHK in Cleveland, is the flagship home of the Cleveland State Vikings Broadcasting Network. Year-round, Al can be seen on WKYC-Channel 3 as a sports anchor. Al has done play-by-play on ESPN/ESPN2, calling Little League World Series Games, the MISL Championship Series (soccer), and sumo wrestling. Outside of the sports realm, Al was the host of "3 Squares" on Time Warner Cable's former Northeast Ohio Network. The restaurant review show won multiple awards. Al holds a Bachelor's Degree from John Carroll University, where he lettered on the baseball team. Al currently resides in Sagamore Hills, with his wife, Jessica, and son, Chase. JENSEN LEWIS is a multi-faceted on-air personality, joining the Indians broadcast team in 2013. Jensen's primary role is the co-host & analyst on "Indians Live" on FOX SportsTime Ohio, the pre and post-game shows for Cleveland Indians' telecasts. He also appears on the Indians' in-game television broadcasts as well as a fill-in host on "Drennan Live." Jensen regularly covers news & sports on the radio flagship home of Indians' baseball, Newsradio WTAM 1100, as a fill-in host throughout the year. The former relief pitcher and 3rd round draft pick (102nd overall) in 2005 of the Tribe, Lewis played for the Indians from 2005-2011, spending 4 seasons in 2007-2010 with the big league club. He finished his professional career with a single season both in Arizona (2012) and with the Chicago Cubs (2013). Lewis helped lead the Indians to the 2007 AL Central Division title and within 1 win of reaching the World Series that postseason. He filled multiple bullpen roles during his tenure, including a perfect 13-for-13 in save opportunities as the club's closer at the end of the 2008 season. He finished his big league career with a record of 7-11, 3.68 ERA while collecting 14 saves & 177 strikeouts in 198 career IP. Lewis was nominated in 2010 for the prestigious Roberto Clemente Award, presented by Chevrolet, given to the player who combines a dedication to giving back to the community with outstanding skills on the baseball field. It recognizes players who best represent the game of baseball through sportsmanship, community involvement and positive contributions to their Clubs. He continues to serve Cleveland Indians Charities regularly. Lewis graduated from Anderson High School in Cincinnati, OH in 2002, then Vanderbilt University in Nashville, TN in 2006 with a Bachelors of Science in Communications. He currently resides in Westlake, OH. The equivalent of Hall of Fame induction for broadcasters and sportswriters is the Ford C. Frick Award and the J. G. Taylor Spink Award, respectively. Three individuals have been honored for their coverage of the Indians. Tribe play-by-play voice Jimmy Dudley received the Frick award in 1997. And Gordon Cobbledick (1977) and Hal Lebovitz (2000) have been honored with the Spink award.